This bright and breezy home accessory from Umbra is here to cater for your every coat-hanging desire in a most handsome manner! Displaying a classic combination of white and silver, the Umbra Flip Hook - White will naturally blend with, and enhance, your existing interior style. 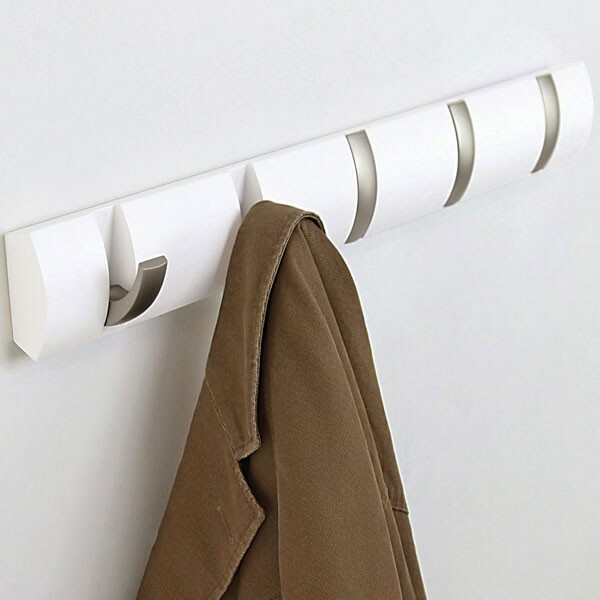 This clever white coat rack has been designed to hold up to five garments. Each of the individual matt nickel hooks can be folded up or down independently of each other, depending on demand. When folded up, the hooks become one with the sensually curved face of the Flip Hook, maintaining a streamlined and coherent feel! The Umbra Flip Hook is available in a variety of finishes, and is also comes in longer eight hook and shorter three hook versions. The complete family can be viewed by clicking the links on the right hand side of the page! Best coat rack you can buy! Great product and looks lovely in the hall. 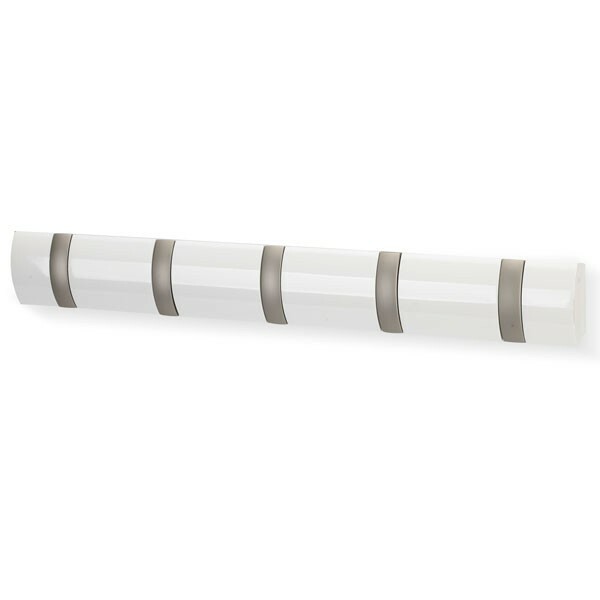 Second purchase of this coat hook, bought the light wood one for our new kitchen and this white one for the new bathroom - Perfect!! Great coathook holds numourous coats and is nice and sturdy. Looks so sylish too and wasn't hard to mount to the wall either.